Hope to see you at the Sitka workshop this July 24 and 25. 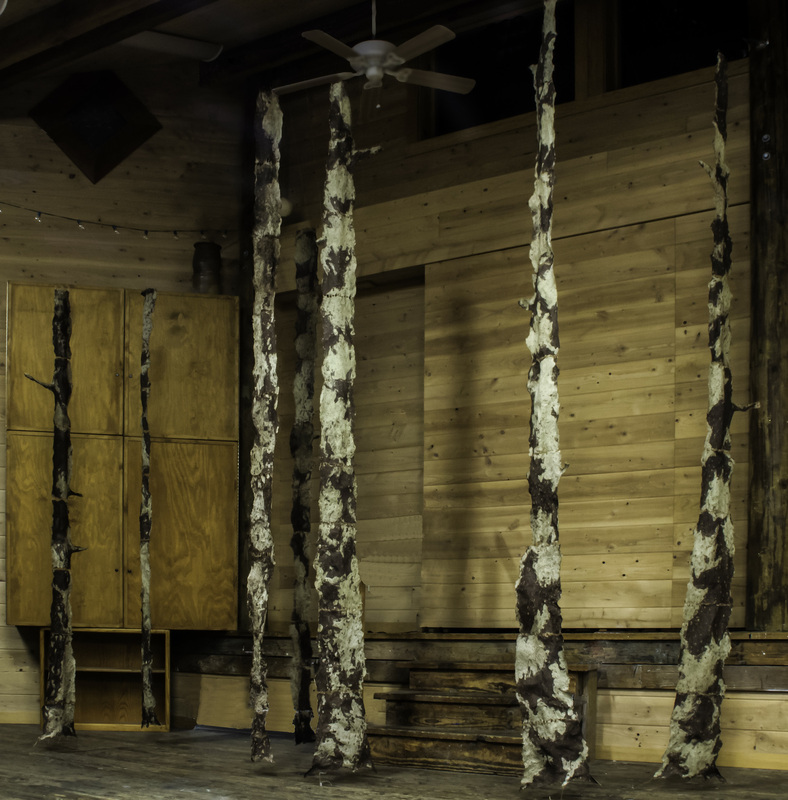 The artwork shown here is an installation I made as an artist in residence from Oct. 2014 to Jan. 2015 at Sitka Center for Art & Ecology. 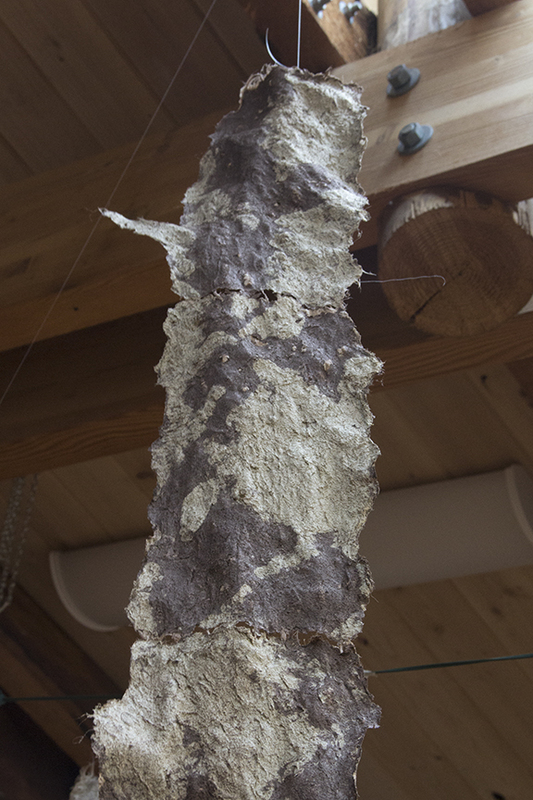 I used Sitka Spruce bark and Sitka Sedge leaves for the handmade paper and dried my paper on the bark of living Sitka Spruce trees to get the embossed bark pattern. I made 7 “trees”, and each is about 15 – 18 feet tall. This installation can be suspended from the ceiling in many different configurations. Thank you again to all the artists who applied this year. I enjoyed reviewing all the proposals, and it was a very difficult job to select only 7 from so many good proposals. I hope many of you will try again next year. Please look at the Blog at http://artproject4wetland.wordpress.com to see the artworks created this year in Cheng Long Wetlands for the theme of “Take Action – Live with Change”. Sketches of the selected artworks will be posted there soon. This year the selected artists will be in Cheng Long from April 13 to May 8. We are hoping for a great year with many interesting artworks and lots of enthusiasm from the community and the elementary school children in Cheng Long. This art project is open to international artists with an Open Call each year, and selected artists receive a 25-day residency in Taiwan with a stipend of $2000, air ticket, food, accommodations and volunteer help as well as access to free natural and recycled materials.